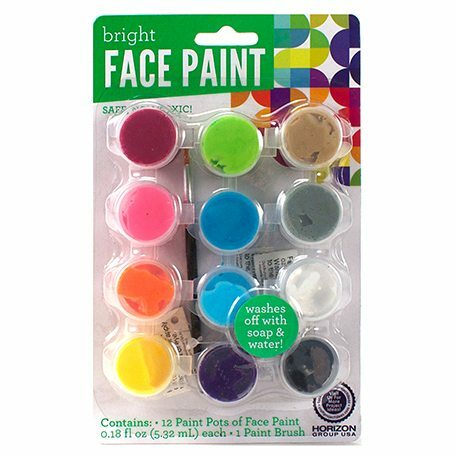 Create your own designs on children and adults for Halloween, parties, dressing up and much more with bright colored face paint pots. The 12 colors are bright and vibrant. They are safe, easy to use and paint on smoothly. Includes a paint brush. Washes off with soap and water.